Select Read More to find out about our Distributorship business opportunities. Affiliates can upgrade to distributor status after successfully servicing 10 clients for 3 months. We appoint Affiliates who earn a commission on sales. Established Affiliates may apply for a Distributorship. 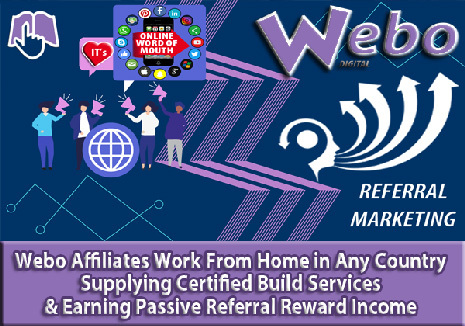 Webo Affiliates earn recurring sales success fees. Webo Distributors may qualify for the Webo SaaS package as a benefit based on sales. Webo Distributors own their own independent businesses as certified Webo SaaS Distributors. There is no setup fee payable by Affiliates and there is no upgrade fee payable by distributors. Affiliate training will not be charged for. Affiliate & Distributor appointments can be of people domiciled in any country in the world. Distributor appointments are granted contractual appointments. Holding a contractual appointment as a distributor means that, inter alia, you can sell Webo products for your own profit. Appointments grant non-exclusive rights and have no geographic trading limitations. 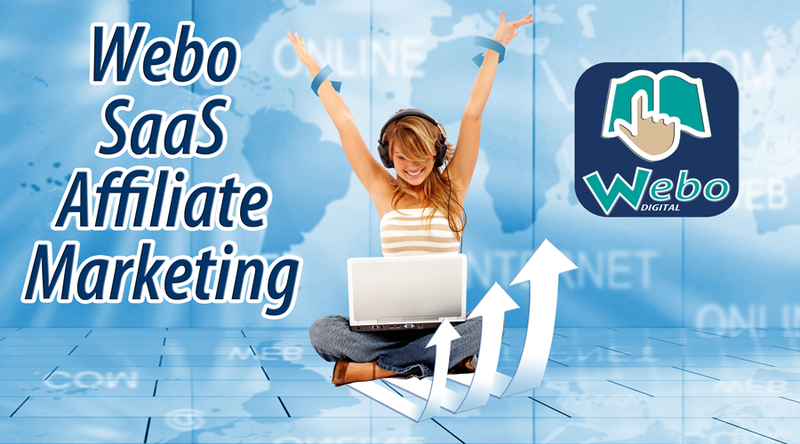 The Webo SaaS is hosted in the USA and is managed from South Africa. CLICK HERE to book a free one-on-one consultation. 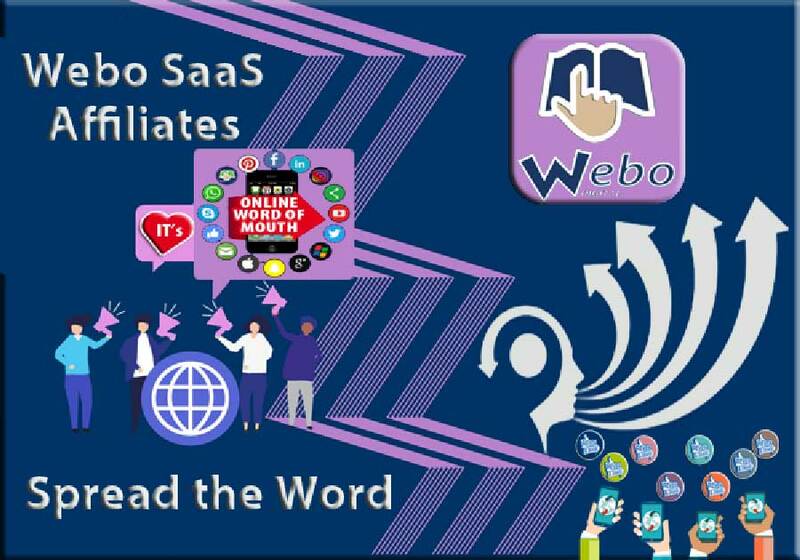 CLICK HERE to link to our eBook on Digital Marketing with the Webo SaaS. CLICK HERE to link to our eBook on Reward Structuring with the Webo SaaS. Promote our SaaS software on your website and get paid for it! Get a % commission on every sale you refer! Our partners takes care of the ordering process, product delivery and customer support. You will get your commissions every month. 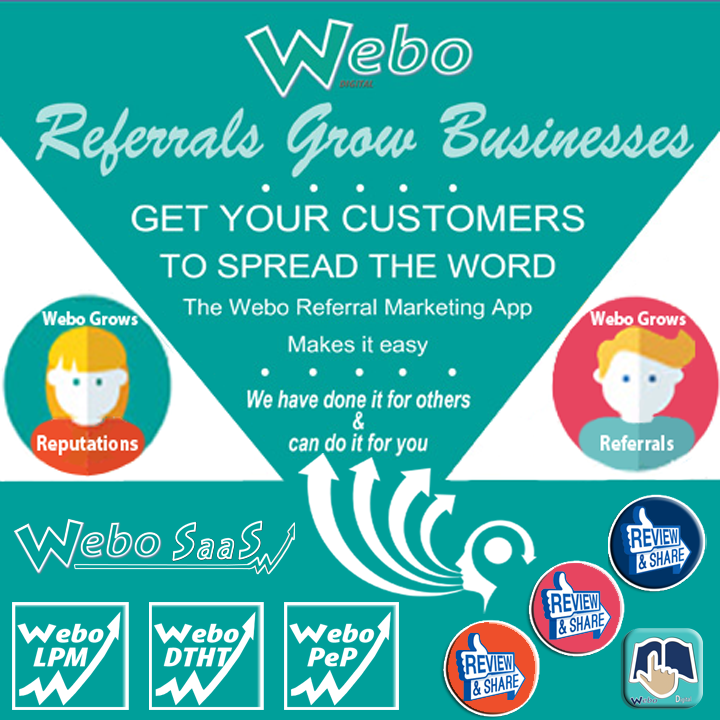 Use your marketing channels to promote the Webo SaaS on your - website, newsletter, etc! We run our own Referral Marketing programme. When a friend is referred by a registered customer of ours we pay $30 for the referral after the account is active for 3 billing cycles. If more than 10 referrals are made by the same person, referral number 11 and more will earn another $30 after 12 billing cycles. Where a referral is made by a direct customer that was referred by an Active Affiliate then that Active Affliate earns the same recurring commission on the indirect customer as if that customer was referred by them. We call this the Commission Multiplier it is a passive income earner that rewards Active Affiliates for introducing happy customers. When an Affiliate becomes dormant they lose their Active Affiliate status. Ts&Cs apply.